No young person should be denied the Scouting experience because of money. Share how you offer financial assistance to pack and troop families. Maybe it doesn’t fully encompass the merit badge, or maybe it looks a little dated. Here are 10 times the BSA changed merit badge emblems for the better. Physical, construction-based Eagle Scout projects are great. But an Eagle Scout project doesn’t have to be permanent to have a lasting impact. This week’s batch of 16 Eagle projects includes shelving for storing hockey gear, a teaching garden at a preschool, a redesigned 4-H Snack Shack and more. STEM experts are everywhere. Invite one to your next meeting. See if they’ll set up a station at your camporee. Take your Scouts on a field trip. 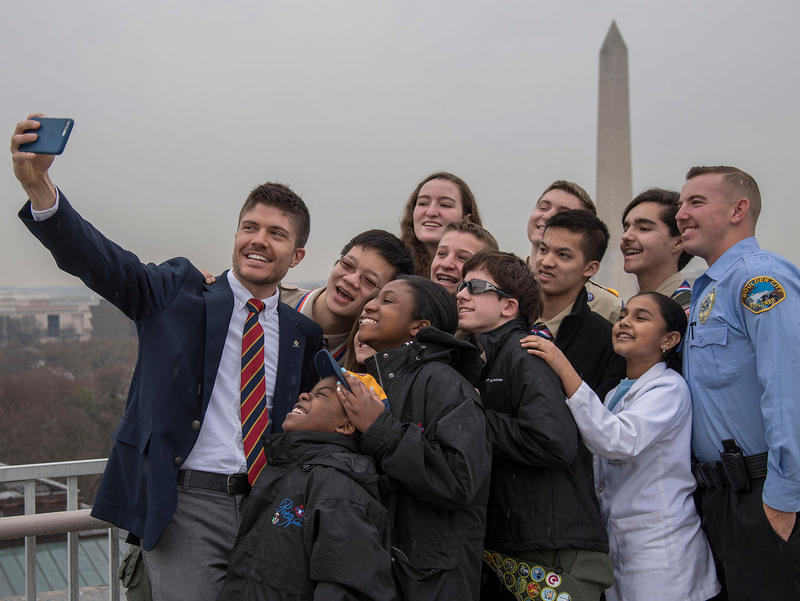 Rob Lowe, whose highly successful film and television career has spanned decades, tweeted a photo of himself with some Boy Scouts on Sept. 16. Philmont Advisor Skill School will get you ready for your Philmont trek. PASS is available at Philmont Scout Ranch and in a city near you. In a hilarious video, Eagle Scout Dave Jorgenson asks strangers whether chivalry is dead and what constitutes chivalry in their minds. The results are gold. The team behind Scoutbook, that revolutionary Scouting web app acquired by the BSA earlier this year, is hosting a live Scoutbook webcast. Over the weekend, Troop 32 from Santa Rosa, Calif., cooked and served dinner for those left homeless by the Valley Fire burning nearby.